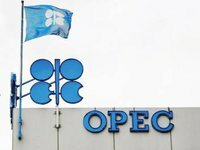 The meeting of the ministers of OPEC countries proceeded on a positive note, Kuwaiti Oil Minister Anas Khalid Al Saleh told journalists as he was leaving the summit. "The meeting was positive," he said. Indonesian Energy Minister Sudirman Said says that the countries did not management to reach an agreement about the new production protocol. Venezuelan Oil Minister Eulogio del Pino also said that he was happy with the results of the meeting.